The latest jobs numbers are weak. Why? We're dying by slow sequester cuts. The US economy is suffering from a nasty case of austerity. Only 165,000 new jobs were created in April—far fewer than is needed to address existing unemployment and to create positions for the millions of Americans who are entering the workforce. 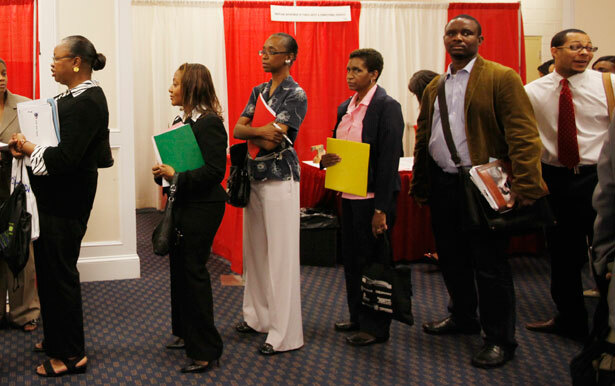 More than 11.7 million active job seekers cannot find work. And that figure does not include millions of Americans who have given up on looking for work, or who are severely under-employed. Add them in and the real unemployment’s at 13.9 percent. Even the jobs that are being created tend to be in sectors of the economy where wages tend to low and benefits often nonexistent. For instance, the latest report notes growth in the “temporary services” sector. But there’s zero job growth in manufacturing. Pocan’s got the right answers. Unfortunately, there are too many politicians in Washington who have yet to start asking the right questions about how austerity is strangling economic recovery. The entire austerity enterprise is based on faulty math. Listen to John Nichols's take.